There is a perceptible change in my house that announces Christmas is coming. I play my favourite festive playlist on repeat (Folksy Christmas on Spotify if you’re looking for a good one). My oven seems to be permanently on and a cookie production line manifests in my kitchen. 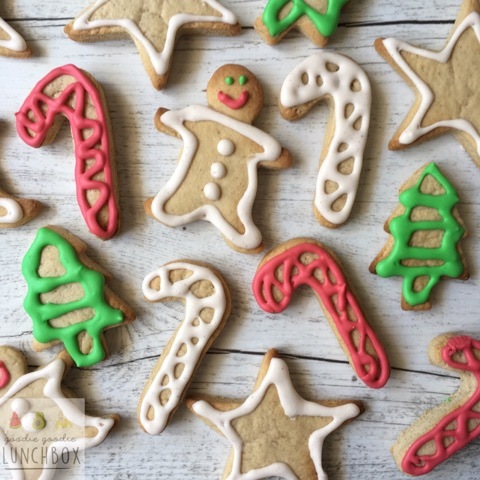 This year I have created my own healthier version of a sugar cookie recipe – Festive Spiced Cookies. If you do a quick Pinterest or Google search you will soon see there are a gazillion recipes for sugar cookies. So why should you try mine? Well because they are soo good! The spices are delicate but are all things Christmas. But the best bit is that these are better for you that a lot of the cookies out there. My Festive Spiced Cookies are refined sugar free and only contain a third of a cup of maple syrup. They are a delicious, low sugar, fun and festive holiday treat for your kids. I call that win/win! 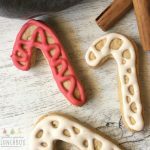 These cookies are made for cutters – they hold their shape really well and they are great for decorating. The other thing I love about these cookies – they freeze really well and even after defrosting retain their crispiness. And this means you can make a batch or three in November and have these ready to go for gifting in December. If your social calendar in December is anything like ours you want to be able to prep in advance. And because they are low sugar they are great for class parties or to give as gifts. 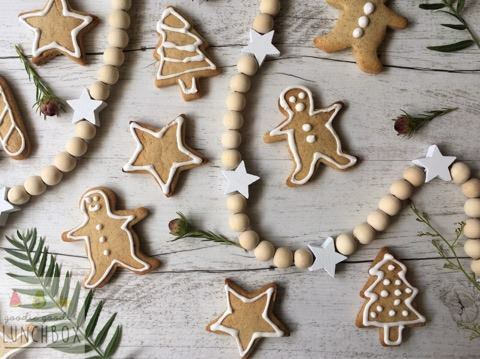 These Low Sugar Festive Spiced Cookies are the perfect edible gift. 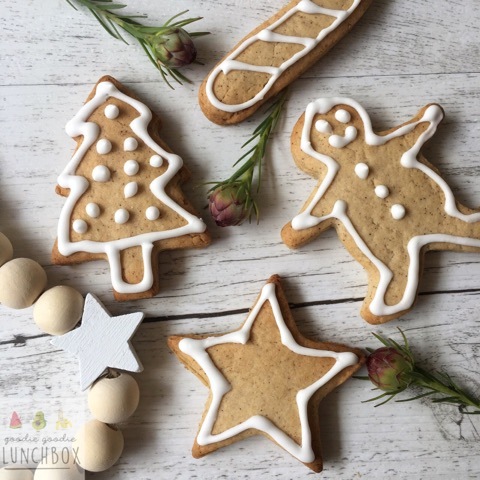 This simple recipe will be a favourite with your family and because they are low in sugar they are are fantastic for class parties at Christmas. These cookies freeze well so perfect for preparing in November ready for the busyness of Christmas. Defrost at room temperature for around 20 minutes before eating. I hope you enjoy making these with your families! Hi, do you think i can replace the butter with same amount of coconut oil? 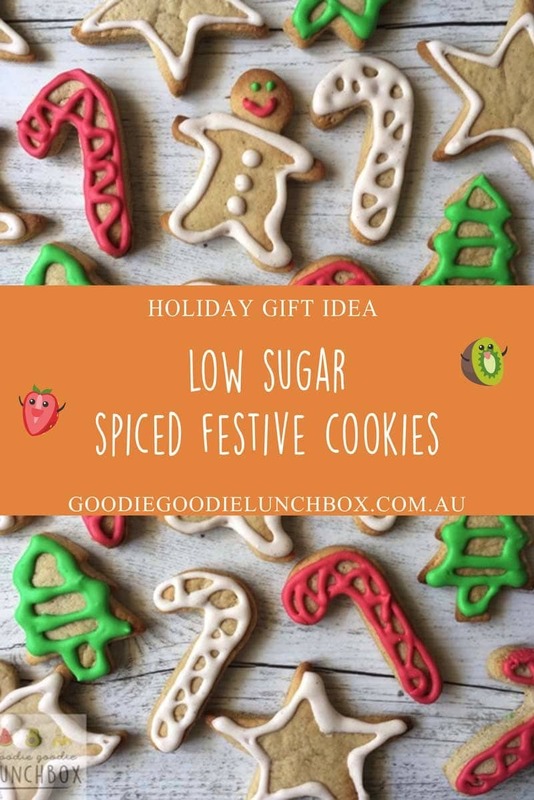 Im looking for a dairy free low sugar xmas cookie. Thank you!